Italian Serie A status will be on the line when struggling side Chievo and Catania go head to head on Sunday and it is a relegation six-pointer that screams out for bets on under two and a half goals and against both teams scoring. Nineteenth plays host to 18th in the Italian Serie A battle of the cellar dwellers and, naturally, both sides will be a bag of nerves. It is a game that neither team can afford to lose, particularly 19th-placed Chievo since it is on home turf and one point behind Catania on the Italian Serie A ladder after each side has played 24 of its 38 matches. Chievo is the most boring Italian Serie A team to watch if one likes to see goals. Chievo’s 24 Italian Serie A games have averaged a league-low 2.17 goals and 13 of its matches have gone under two and a half goals. Moreover, only three of Chievo’s 24 Italian Serie A games have featured four or more goals. That is a low for the division as well. Catania is not much more entertaining, either. Catania’s 24 Italian Serie A matches are averaging 2.50 goals and 11 of its games have gone under two and a half goals. And Catania has featured in an Italian Serie A high five goalless draws. Both 888sport and Unibet are offering odds of 1.63 that the Italian Serie A match between Chievo and Catania goes under two and a half goals. There is nothing wrong with that play – the reverse fixture ended 2-0 to Catania – but one is also interested in Bwin’s attractive odds of 1.85 that at least one of the two sides fails to rustle the onion bag. Chievo has fired blanks in 11 of its 24 Italian Serie A games and Catania has the same statistics. With the pressure on both teams, a low-scoring encounter would not be a big shock. Another Italian Serie A match that appeals as a prospective under-two-and-a-half-goals play is the San Siro showdown between Internazionale and Cagliari. The sides played out a 1-1 draw in round six of the Italian Serie A season and, in light of the respective form of the teams heading into their rematch, one wants to bet on another fairly drab clash. Internazionale has scored two or more goals in only one of its last eight Italian Serie A matches and each of its last four home games in the competition have gone under two and a half goals. Cagliari has not scored more than one goal in any of its nine Italian Serie A matches and it has bagged only one goal in its last eight road games in the division. BetVictor is offering generous odds of 1.98 that the Italian Serie A match between Internazionale and Cagliari goes under two and a half goals. Given Cagliari’s awful Italian Serie A scoring statistics on the road – it has not scored in more than 450 minutes of away action – some punters may be keen on backing Internazionale at odds of 2.30 with Paddy Power to win to nil. But one prefers the highlighted under bet. Finally, one cannot help but think that Sampdoria is over the odds at 3.70 with BetVictor to beat what is a very ordinary Milan. 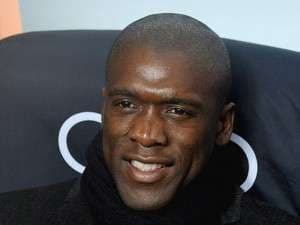 Clarence Seedorf is a Milan legend but he has not improved the Rossoneri and their away form does not entitle them to be warm favourites against Sampdoria in Genoa. Bear in mind that Italian Serie A’s bottom side Sassuolo’s only points from its last 11 games came when it beat Milan 4-3 at home. Sampdoria is unbeaten in its last six Italian Serie A home matches and the harsh truth is that Milan is a mid-table team just like its Sunday opponent.